Most of the time, Internet users do not pay much attention to the URL address when browsing, at least if they do not need to follow a link copied from somewhere to the clipboard. Sometimes we look there to make sure that the transition is correct, especially when it comes to quick and dishonest redirection. But, if you take a careful look at the address, you may notice a Lock icon of different colors near the URL and different types of addresses, starting with HTTP or HTTPS. 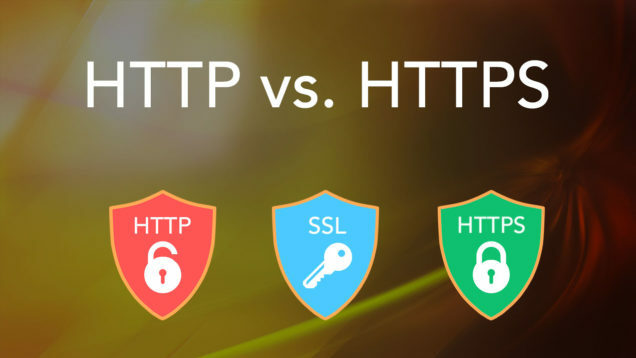 If you don’t know what is the difference between HTTP and HTTPS and why HTTPS is important, follow our article. Today, we will explain what S in HTTPS stands for and how to secure your data when visiting websites or doing online shopping. How to secure your data when visiting websites? HTTP (Hyper Text Transfer Protocol) is an application protocol for transferring data over a network, which is currently used to obtain information from websites. The HTTP in networking is based on the use of client-server technology: the client, who is sending the request, is the initiator of the connection; the server, which is receiving the request, executes it and sends the result to the client. A significant disadvantage of HTTP is the insecurity of the transmitted information. This is unacceptable when it comes to confidential data during any payment transaction and so on. Now, let’s see how HTTPS works. Since HTTP and HTTPS are very similar to each other, not every user feels the difference between them. In short, HTTPS has an additional level of protection, using a special protocol for data – HTTPS encryption or SSL. The letter “S” in the name of the HTTPS protocol means “Secure” – protection. This protocol is used to transfer encrypted data. HTTPS is responsible for ensuring that data is transmitted fully, without loss. The SSL protocol processes the transmitted information and encrypts it from third parties. By acting together, HTTPS and SSL reliably protect data from hacking and leaks. The search engines fix this important difference from HTTP and check it when displaying a site in a search. If the site is not protected by an SSL certificate, the “Not secured” mark will appear next to the address in the URL address line. It warns the user that it is not safe to pay for services on the site, send personal data through forms and even like or share posts using social networks. The HTTPS secure protocol is generally used to protect confidential data and financial information transmitted via the Internet, for example, to protect online store operations, registration data in social networks, or information about online banking system users. But, when you are working with online stores, online banking and so on, be careful because there are many intruders who want to hack the information and steal money. That’s why it is important to pay attention at the URL address when you enter any confidential information on any website. However, HTTPS alone doesn’t guarantee that your data is secured. If you want to protect yourself from identity thefts and be safe when shopping online, we recommend that you use more secure ways of protecting your personal data. Keep reading to learn more about that. Some of these services will significantly increase the level of your online security. Our personal choice is to use a VPN (virtual private network). VPN encrypts not only your data when browsing, but also any data you transfer from your device, including email applications, messengers and so on. A VPN app will help you to prevent identity theft, bypass Internet censorship and avoid intrusive advertising. In our previous article, you can learn more about a VPN or you can try it right now by downloading a free trial version of VPN Client from the App Store. Prev:How to Watch BBC with a VPN Anywhere?